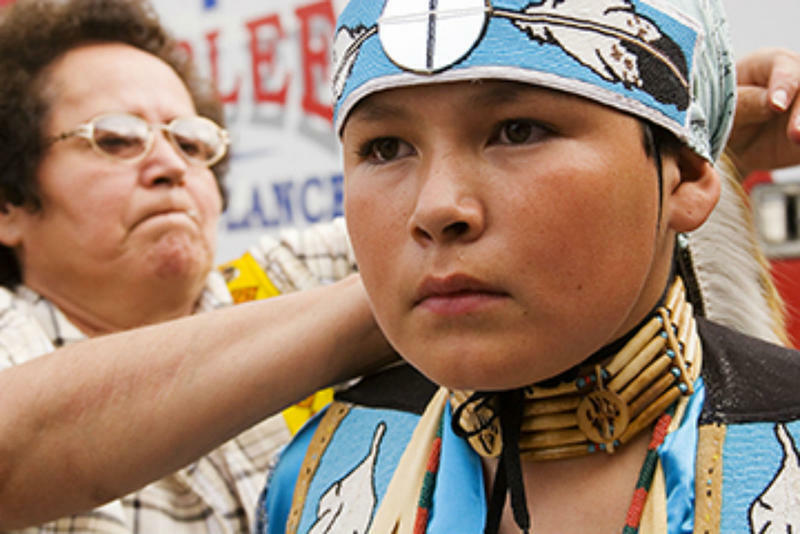 Everyday Native is the first collaborative teacher’s resource created by non-Natives and Native Americans with a focus on the daily lives of Native youth. It aims to fuel a teacher-led movement that promotes healing racism through education. The free Everyday Native online resource sparks discussion and understanding among 4th through 12th grade students about the experiences of navigating the two worlds of Native and non-Native life, including racism that contributes to higher than national average rates of suicide among Native youth ages 15-24 years old. It was born out of the long friendship between an urban white photographer, Sue Reynolds and a Salish Indian poet and venerated member of the Salish Kootenai Tribes, Victor Charlo. 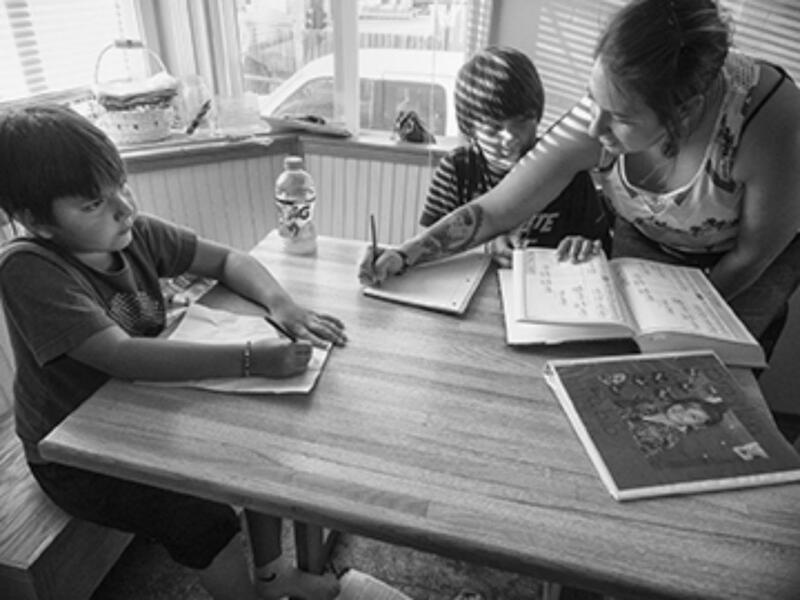 Nicole Pablo Helping Her Sons with Homework, Flathead Reservation, Montana, 2016 by Sue Reynolds for Everyday Native. The content – which enriches Language Arts, Native American History, U.S. History, Social Studies, Current Events, Art and more -- is reviewed by Salish and Lakota educators to ensure accuracy and cultural sensitivity. Downloadable PDFs are included. The resource is free to teachers, parents and the public. 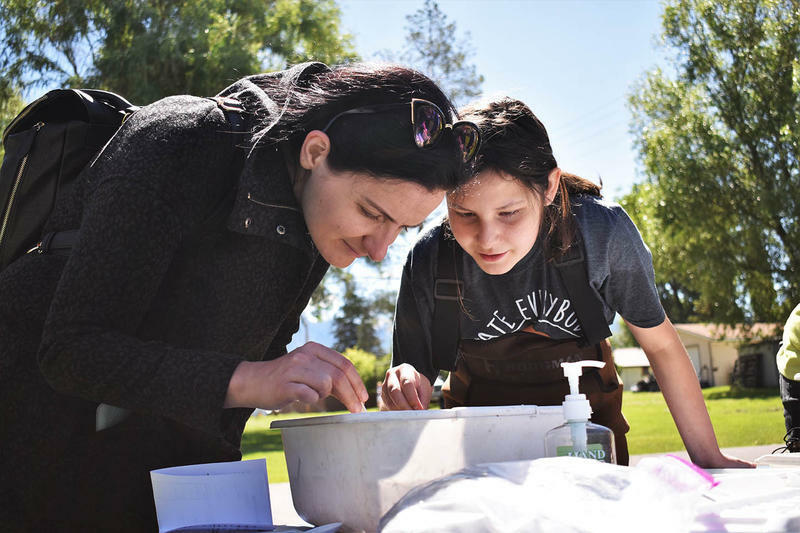 Everyday Native was created by founder-photographer Sue Reynolds with educator Cass Fey, former education director for The Center for Creative Photography at the University of Arizona, Tucson. Both are non-Native. Beautiful, eye-opening poems by Salish Indian poet Victor Charlo appear throughout the resource, providing insights into this renowned storyteller’s everyday life on and off the reservation.